Abstract: The authors examined and analyzed such a view as that “youth football training in China should learn from Japan, and follow the school youth training dominating mode”. Japan has basically completed the evolution from school youth training to professional club youth training, in which the school youth training dominating period is divided into an amateur stage, a semiprofessional stage and a professional stage; the professional club youth training dominating period is divided into an embryonic stage, an early accomplishment stage and a mature stage. The evolution of youth football training in Japan indicates that with the development of football professionalization, the status of school youth training is declining constantly, professional club youth training becomes dominating gradually, while amateur club youth training is an indispensible backbone force. 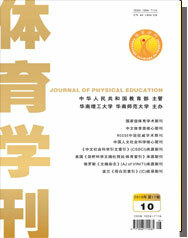 The authors proposed that China should smooth the relationship between various parts in the youth training system, and promote their coordinated development: campus youth football training should not exceed its authority, professional club youth training should be self-independent, while amateur youth training should be vigorously supported.